Summer quiche: We make so many different quiche flavours, that we forget to write them all down for you. From now on we will try.A quiche is always a surprise at the table. However, you really don’t see them very often and that is a shame because it’s a very practical way to empty the fridge or freezer of small scraps. Or in this case, use up the odds and ends of a bunch of colourful vegetables. 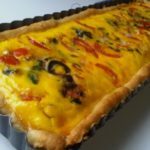 You can create any sort of quiche you like with a bunch of leftovers! 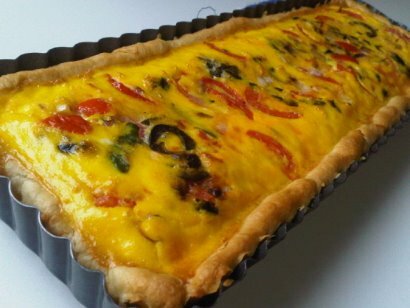 Let’s hope that our summer quiche encourages you to have a go. 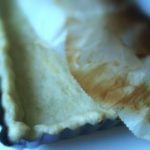 We have made it even more easy with our recipe for food processor pastry. Preheat the oven to 185C or 365F. 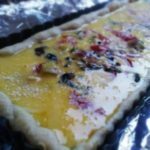 Place the cooked pastry base onto a sturdy baking sheet. Mix all of the other ingredients into a mixing bowl whisk for about 1 minute. If needed you can add extra cream or eggs in order to ensure that the pastry case is full. Pour the egg mixture into the pastry case and cook in the centre of the oven for 40-45 minutes.